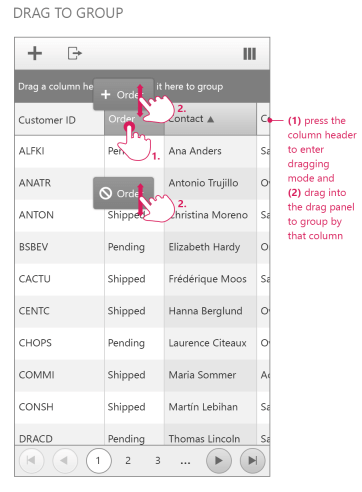 When the grid is not grouped the default text in the groupPanelItem is "Drag a column header and drop it here to group"
When the grid gets grouped – you see only an arrow pointing down and the text "View Groups"
Drag to group action works the same way as before – you drag a column header and drop it on the group panel item. 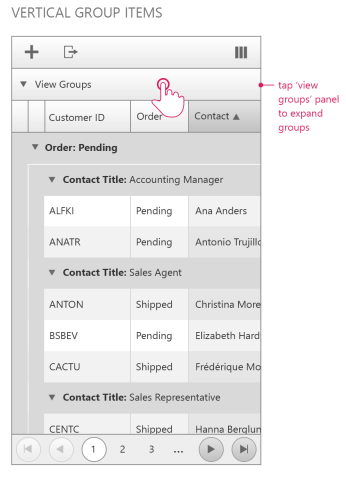 It will not be visible in the group panel item. 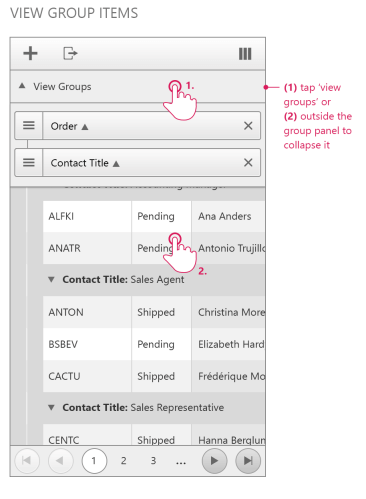 The group items can be dragged and reordered only by using the icon in the left part of the item (image). 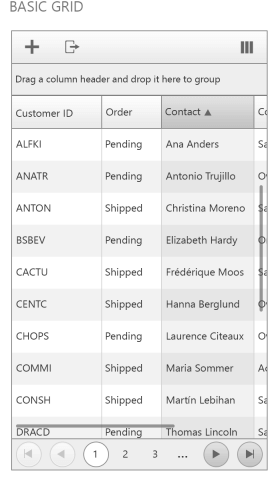 When the "AllowDragToReorder" property is set to "false" the mentioned icon will not be visible.